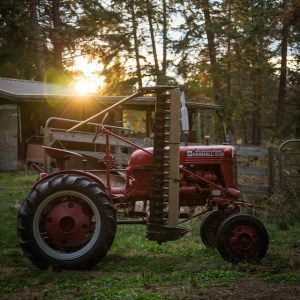 Over twenty-plus years my father-in-law gathered a vast collection of vintage farm equipment, industrial tools, antiques in various states of repair. 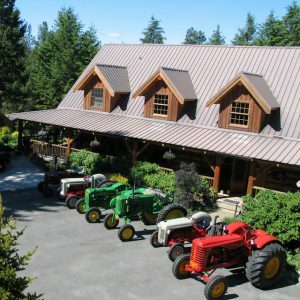 He had a deep appreciation of farming history, and he was always questing for pieces that hearkened back to his time as a child on a farm in the Fraser Valley. If I hadn’t known he had a day job I’d have thought he was a curator for some local museum. Take your time and wander through history. ‘Big Jake’ would have welcomed you to enjoy his collection with a firm and friendly handshake and a proud smile. We promise to do our best to make you feel just as welcome.